There are plenty of reasons to NOT love going to work: Your commute through heavy traffic. That annoying co-worker that never lets you focus. Those countless hours spent in painfully long meetings. Rigid 9-5 schedules. Shall I go on? Since we all spend most of our waking lives at our desks, it stands to reason that it shouldn’t be a constant drag on our happiness. 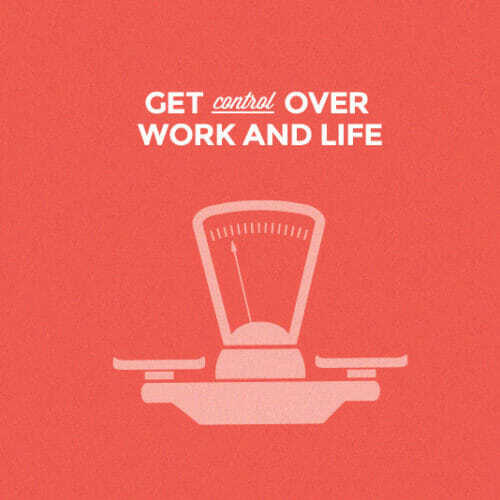 One way to get rid of your job woes is to pick an industry that can work with your life, not against it. You’ve probably read that tech jobs usually come with open floor plans, endless perks (nap pods, anyone?) and competitive salaries. 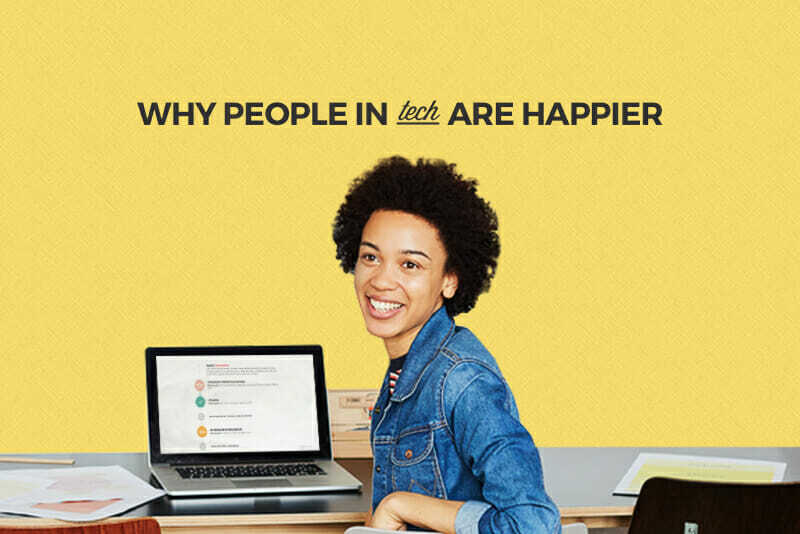 But there’s much more to it than that—read on to find out the top three reasons people in tech go to work smiling. Remote work equals happier employees. Being tied to a desk doesn’t have to be a reality when you work in tech. In general, more and more employees are working from home (or, in fact, anywhere with a great Internet connection) either all or part of the time—and the tech industry is full of remote work opportunities. The benefits of working remotely go far beyond ditching the stuffy work wardrobe: According to a study by PGI, 82 percent of telecommuters reported lower stress levels and 80 percent said the remote work improved morale in general. And why wouldn’t it? 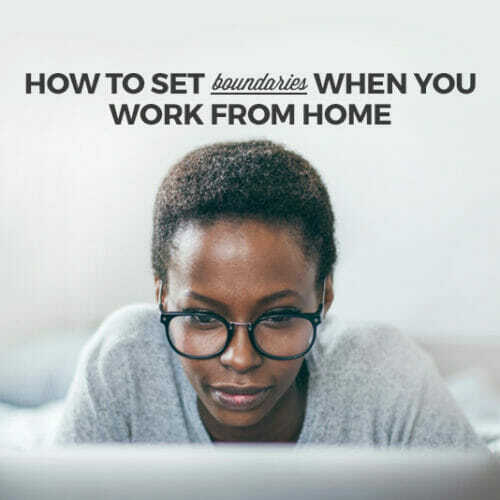 Working remotely also nixes the need for a daily commute, so say goodbye to those awful mornings fighting traffic and sit back with a cup of coffee while you wait for your workday to start in the comfort of your own home. Your career works around your life. Want to work hard but still want some added flexibility? Many companies in tech offer flex-work, so you can set your own hours to come into the office. You can pick the hours that work best for you and when you’re most productive (or when you have other obligations) so if you need your early morning to drop off your kids at school and want to roll into the office at 10am, you’ll still be right on time to work! Flex schedules are all about working smarter, not harder—and choosing your own schedule so that you can do your best work is an awesome benefit for both the employee and the company. According to Inc, tech employers can attest to the benefits of flex schedules to include a more productive workforce, happier and more satisfied employees, and faster company growth. With a career that works around your life, finding balance can actually be within your reach. You might have heard that jobs in tech come with impressive paychecks. Jobs in tech are in high demand and many come with high salaries. According to Glassdoor, the US median salary for front-end developers is more than $75,000. In markets such as Silicon Valley where the competition for top tech talent is intense, the median salary can rise well above $100,000. It’s totally possible to make 6 figures working in different roles across tech. And while money is, of course, not the only path to happiness, money does mean freedom—the freedom to leave a bad relationship, the freedom to pursue a passion, and the freedom to create the life you want for yourself. Sounds pretty good, right? 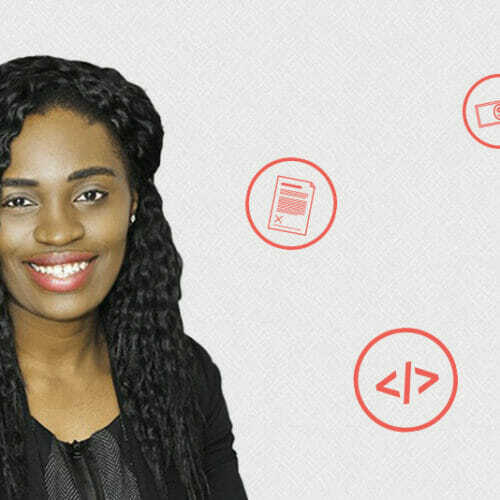 This could be you someday if you’re motivated enough to put in the time and effort in learning digital skills. 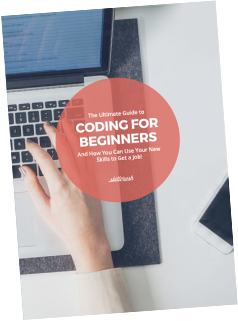 Get started with the free Ultimate Guide to Coding for Beginners, and you, too, could be taking advantage of these fantastic perks sometime soon. Prev: The 7 Things the Most Successful Web Devs and Designers Have in Common Next: The Future of Tech is WTF?